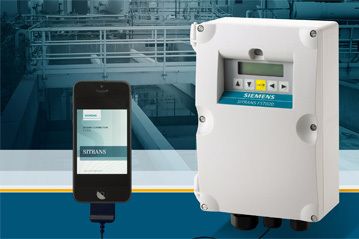 Siemens Industry Automation Division introduces the Sitrans Connection Apple iOS communication application, designed for use with all Sitrans F US clamp-on ultrasonic flowmeters. 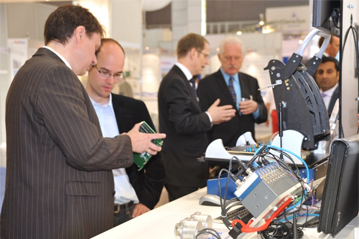 Sitrans Connection enables direct communication between an Apple iOS device (iPhone, iPad or iPod Touch) and any Sitrans F US clamp-on ultrasonic flowmeter to enhance all metering functionalities, including programming, operational review, data logging and download. The Sitrans Connection app provides greater mobility, making connectivity possible without the need for a laptop computer. The app also features full menu visibility and a complete alphanumeric keypad for easier navigation and programming, which is especially useful for meters with limited displays. 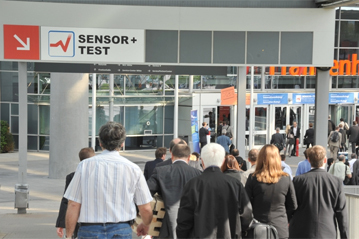 In addition, Sitrans Connection provides Siemens technical experts with a live link to the meter for instant diagnostic review and programming, reducing the need for on-site service (Wi-Fi or cellular service required). Sitrans F US clamp-on ultrasonic flowmeters are tailored for measuring flow in a wide range of applications belonging to various industries, including oil and gas, water/wastewater, HVAC, power generation, chemical and petrochemical.